Boeing says the commercial airline industry will require 635,000 new pilots over the next 20 years in response to a doubling of the fleet and record demand for air travel. The figure was included in Boeing’s 2018-2037 Boeing Pilot and Technician Outlook published at EAA AirVenture Oshkosh on Monday (US time). It is down slightly from the forecast of 637,000 new commercial airline pilots contained in the 2017-2036 outlook. Boeing noted in its Business Environment Update report for 2018 there were currently 295,000 active commercial pilots around the world. More broadly, the 2018-2037 Pilot and Technician Outlook also forecast the need for 96,000 business aviation pilots and 59,000 civil helicopter pilots over the next two decades. It is the first time the Boeing report has offered a view on these two sectors. In total, Boeing is projecting demand for 790,000 pilots between now and 2037, which it says “represents double the current workforce and the most significant demand in the outlook’s nine-year history”. “Despite strong global air traffic growth, the aviation industry continues to face a pilot labor supply challenge, raising concern about the existence of a global pilot shortage in the near-term,” Boeing Global Services vice president of training and professional services Keith Cooper said in a statement. “An emphasis on developing the next generation of pilots is key to help mitigate this. The Boeing Commercial Market Outlook (CMO) for 2018-2037 revised upwards the forecast for new commercial aircraft deliveries over the next two decades by 4.1 per cent to 42,730 aircraft. The commercial aviation fleet was expected to grow to 48,540 aircraft by 2037, from 24,400 aircraft currently in service. Meanwhile, the latest Outlook has lowered its forecasts for commercial maintenance technicians by four per cent to 622,000, from 648,000 a year ago. Boeing said in a statement the reduction was “primarily due to longer maintenance intervals for new aircraft”. “As new generation airplanes become more prominent in the global fleet, advances in airplane technology will drive an increased need for technicians skilled in avionics, composites, and digital troubleshooting,” Boeing said. The report also estimated there would be 858,000 new commercial airline cabin crew members needed over the next 20 years, up 2.3 per cent from the forecast of 839,000 a year ago. “As airlines continue to refine business models and personalize offerings to specific market segments, additional demand for cabin crew will result from denser seat configurations and multiple cabin configurations,” Boeing said. The Boeing Business Environment Update said the expected doubling of the global fleet, coupled with the airline industry experiencing its 10th year of above average air travel growth, has resulted in an “unprecedented demand for new pilots”. The pilot labor supply has continued to tighten amidst strong global air traffic growth, leading to staffing challenges for airlines around the world,” Boeing said. Qantas Group pilot academy executive manager Wes Nobelius said in June a second academy was also being considered. “We think there could be enough demand from the broader industry for us to train up to 500 pilots a year, and to do that we’re likely to need two separate academies because of the practical realities of trying to do that much training in a single location,” Nobelius said. 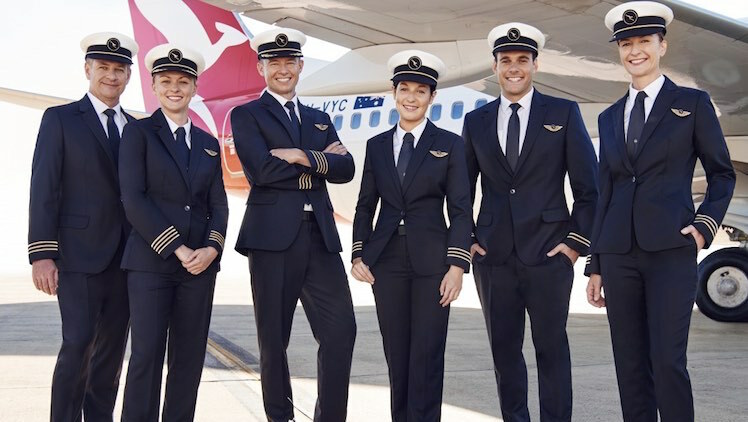 “Training on this scale represents a commercial opportunity for Qantas but it’s also about contributing to a talent pipeline that we rely on for more senior pilots down the track. Further, the airline was targeting an equal intake of males and females for its 54-week pilot cadetship program, as part of efforts to broaden the pool of available aviators for the next generation. 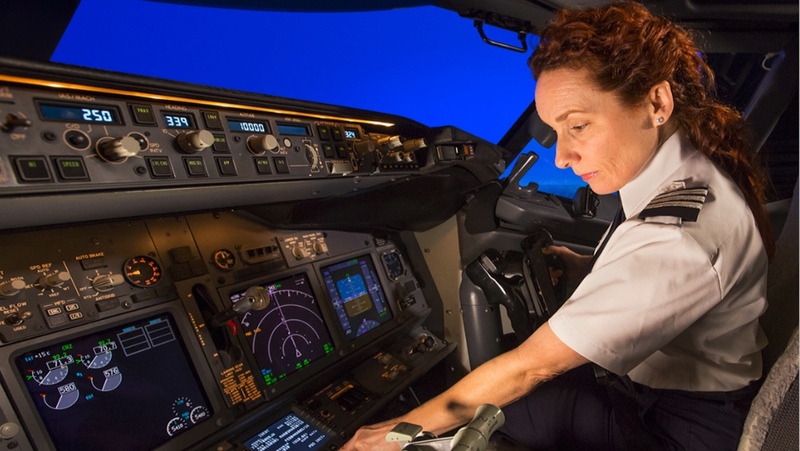 Estimates put the number of female pilots around the world at about three per cent. There are jobs out there with better pay and conditions than being a pilot these days, without the expense of training. Seems like the Qantas group does not have a pilot shortage problem, I personally know a number of experienced airline pilots working for another Australian carrier that have been told thanks but no thanks after submitting their application. Others have been on Jetstar’s pilot hold file for over 12 months without any communication. It appears as though the problem is not a pilot supply but rather a supply of competent practical recruitment personnel. It’s most unfortunate, that airlines require or demand an extremely high experience or flight hours, making it near on impossible to apply for any possible opportunities. Personally speaking, I’d take the opportunity if presented one to be given additional training, having obtained my PPL with endorsements. Andrew is spot on. I have been flying long haul for 12 years and I can say with confidence that much hardship is ahead for the industry. Few want to do this job anymore and who can blame them? Dwindling pay coupled with increasing hours, responsibility and oversight. This isn’t the career it used to be. You’re paid and treated like a bus driver yet still expected to perform flawlessly at all times even when worked to the bone at all hours of the day and night. Personally I’m retiring from the industry soon as this isn’t what I signed up for. Good luck for the future generations who do it, it will have to be for love and passion. Not money. The apparent ‘lack’ of qualified ‘willing’ pilots in Aus is a direct result of the historic ‘lack’ of willingness by aircraft operators to pay what they’re worth. Same whinge story the generation before you told as well no doubt. If you want out, get out. I’ll take your seat. Qantas’ claimed “pilot shortage”issue is a direct result of commencing pilot recruitment approximately 2 years too late. For 7 years they put a freeze on any recruitment and also had hundreds of pilots either quitting or taking leave without pay in order to pursue their careers with carriers overseas. Time to change the regulations and allow RPAS for commercial flights. There has to be concern with sausage factory produced pilots who achieve the minimum standard and their ability to cope with an abnormal or emergency situations. I would put my faith in the technology rather than a Second Officer who has 5,000 hours of ‘experience’ flying between Sydney and Hong Kong. The aviation industry for a long time has been very choosy on whom it employed. So many in the years past missed out for many a reason even though they met the CASA standards. It would be nice to see candidates matching our diverse cultural profile. Take a look at Australian airline advertising and all you mainly see is tall, slim, white skinned crew. How about giving the rest a go. I guess in times of shortage, they would now have no choice. Not all have the previlege of having mum or dad as pilots in the airlines. Some work very hard to find the money and take extraordinary risks to build hours. It’s about time individuals such as these were considered. From my observations, airlines around the world are going to have to pay pilots more. Does anyone know what the Middle Eastern Airlines are paying? I’m interested to know where Qantas plans to find all the instructors that will be required to train up to 500 pilots per yer. 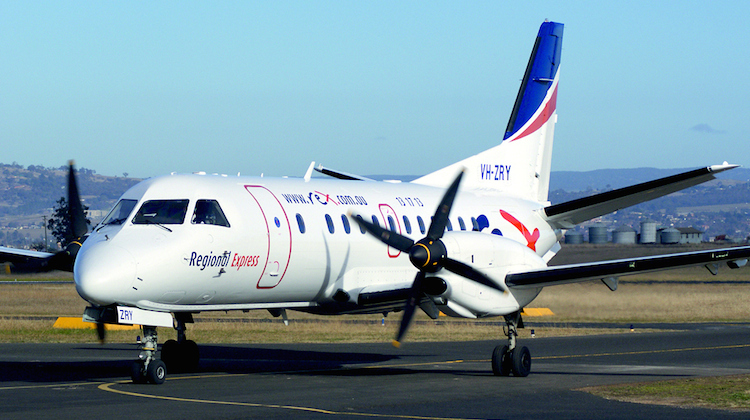 That hasn’t been commented on, and I think if Rex can’t find guys to fly Saab 340s, who is going to want to sit in a 172! @James, I can’t speak for others but I wasn’t told a whinge story. I was told a story about how wonderful and fantastic it would be and to do whatever I could to become a pilot with a large airline. Turns out though, conditions are slowly being eroded and the long haul pilot life is now quite a hard job in many respects. The job is much harder than that of the previous generation and I suspect this trend with continue. For example, it’s not uncommon to loose 12 or more nights of normal sleep each month. This takes a big toll on your body and your health, much more than most people understand. The culture of corporate greed has infested aviation across the board and continually cuts and cuts at the industry in all directions and in many ways this makes the job more challenging, difficult and much less enjoyable. At the end of the day, its our licence on the line and we are the ones put through hell when incidents or accidents occur. Continually battling with people whose main motivation are profit and loss statements, not safety, feels never-ending and this is very tiring indeed. Being away from home so much also has a massive impact on relationships and family life. There are definitely many positive aspects of the job and I absolutely love flying, but as a career I question whether it was really worth all that I have had to sacrifice. I’m a pilot also. Albeit with a regional. It may not be as lovely as it was before, but it’s still a hell of a lot better than other professions/jobs. I don’t know how you paid for your training, but I like a lot toiled and scrounged until I got it all done. Didn’t start commercially flying until my late 20’s, started learning in my early 20’s. Flying is still better than a lot of gigs out there. So many other jobs are getting worse as well.